Should you or your spouse experience a serious illness or injury, how would the loss of income impact you? In addition to your day-to-day living expenses, a disabling injury can also lead to additional expenses, such as increased medical and household costs. Disability income insurance helps you to ease the financial difficulty associated with a serious illness or injury that keeps you from working. While your employer may cover you with some form of company-paid disability insurance, often coverage is only partial and/or short-term. 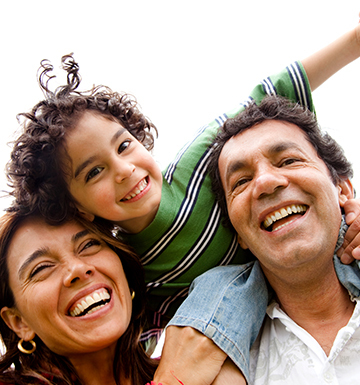 Disability income insurance is designed to complement health insurance. It provides financial peace of mind for you and your loved ones in the event that you are sidelined by a serious illness or injury by protecting your future income potential. Definition of disability: Some policies pay benefits if you are unable to perform the duties of your regular occupation, while others pay only if you can engage in no gainful employment at all. Some policies also pay benefits if you become ill or injured and are unable to earn a specified percentage of your income. Understanding how a disability is defined will help you to select a policy that best suits your needs. Amount of income: This amount varies by policy, but a policy that pays 50 to 60 percent of your monthly salary (not including bonuses or commission) is the most common and most affordable option. It’s best to first evaluate your other sources of income to determine the amount of disability income coverage that you will need. Length of benefit period: You can choose to receive benefits that are payable from one year, two years, five years or to retirement age. Opting for coverage that lasts through age 65 affords the best protection against an injury or illness that permanently removes you from the workforce. Residual benefits: Selecting this feature will give you partial payment in the event that your income is reduced because you are unable to fulfill some, but not all, of your job responsibilities. Cost of living increases (COLA): Adding optional COLA to your disability policy means that the coverage you purchase today will keep up with the pace of inflation during the lifetime of the policy. Short-term disability policies have a waiting period of up to 14 days with a maximum benefit period of no longer than two years. Long-term disability policies have a waiting period of several weeks to several months, with a maximum benefit period ranging from a few years to the rest of your life.